The Pentecostal leader crossed lines to rally denominational heads for a mammoth goal: End global malaria by 2015. Now he’s targeting believers with a simple $6 plea that could unite the church and change the world. Jeff Farmer was recovering from cancer surgery when he read the statistics in a World Vision newsletter: 1) Every 45 seconds a child age 5 and under dies from malaria, according to the World Health Organization; 2) Although the United States successfully eradicated malaria 60 years ago, this deadly disease spread by infected mosquitoes kills nearly 2,000 children every day. The World Health Organization’s commitment to wipe out malaria across the globe by 2015 has been joined by secular organizations such as The Bill and Melinda Gates Foundation, the NBA and many others. Among Christians, however, charismatic and Pentecostal churches have been missing in action for the fight to eliminate malaria. But that changed when the Holy Spirit gave Farmer, president of charismatic Open Bible Churches, a wake-up call to help bring an end to the disease. Farmer had been meditating on Psalm 91 during his ordeal of discovering he had cancer and the ensuing surgery when God began to speak to him about malaria—a stealthy, silent killer. The Holy Spirit then quickened Farmer with the idea of how he could mobilize charismatic churches to combat the disease. In his other role as chairman of the Pentecostal/Charismatic Churches of North America, Farmer had been charged with planning the PCCNA’s national leadership meeting. He felt impressed by God to present the 30-member group with a challenge to join World Vision in its fight against malaria. Haas, vice president and chief catalyst of World Vision, responded to Farmer’s request by saying he had been praying for a “David” to rise up from the church to battle this Goliath-like foe. Most Westerners have never heard of malaria, though it wreaks havoc in tropical Third World countries and Sub-Saharan African nations. More than 1 million people a year die from the disease, and between 300 million and 500 million cases of malaria are reported each year, according to the U.S. Centers for Disease Control. Malaria is a parasitic disease marked by high fevers, shaking chills, flu-like symptoms and anemia. When a mosquito bites a person infected with malaria, the insect becomes a carrier. The parasite is transferred to the human blood stream from the mosquito’s bite where it ultimately infects and destroys red blood cells, which can bring death. Upon sharing his vision with PCCNA denominational leaders, Farmer says they immediately joined the war against malaria by signing a letter of intent, effectively placing charismatic and Pentecostal believers strategically in the battle to defeat the disease. “We believe igniting the church will push [support for malaria] over the edge so malaria is gone for good in 2015,” says John Volinsky, National Director of Church Partnerships. 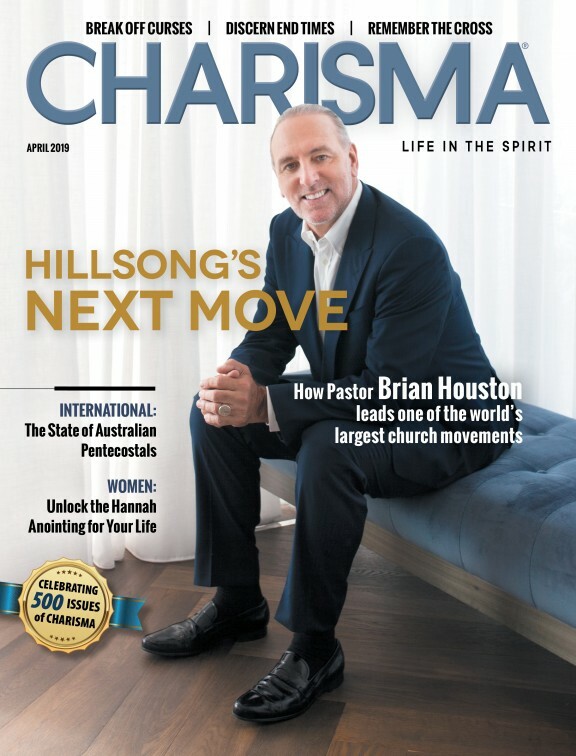 Charisma interviewed Volinsky while he was in Kenya showing a group of pastors the need for churches to be involved. The week before, he was in a remote area of the Congo exploring the need for resources to fight malaria. While Volinsky and his videographer toured a clinic there, they noticed a 3-year-old girl who was receiving an IV blood transfusion. As they walked out of the room after the tour Volinksky asked his videographer to go back and interview the child. Children were also involved in fundraising at pastor Chris Hansler’s Celebration Center church in Puyallup, Wash. “One of our members wrote a children’s book that told the story of how they could help, and the kids participated in the giving,” Hansler says. During the discipleship-themed Ignite youth conference in Los Angeles in 2011, high school students generously responded after being challenged to action by Gary Emery, regional executive director of Pacific Open Bible Churches. Emery had seen Farmer on video discussing the need and was heartbroken “for these precious children who wanted the most basic parental desire: to keep their children alive,” he says. The students responded immediately with donations for bed nets. “I have no doubt that young people across the nation will respond to this life-and-death cause and will lead the way in winning the war against malaria,” Emery adds. The chief weapon against the spread of malaria, according to World Vision, is a simple bed net treated with pesticides or pyrethroids, a manufactured pesticide that’s safe for humans when not ingested. Mosquito nets treated with insecticides are about twice as effective in preventing malaria compared to untreated nets and offer more than 70 percent protection compared to having no net. One net can cover two children and costs $6. The combination of insecticide-treated bed nets, indoor residual spraying, therapy with the anti-malaria drug compound Artemisinin, and rapid and accurate diagnosis has led to dramatic drops in malaria. By combining these measures, Rwanda successfully reduced malaria deaths by 60 percent. Another success story is Senegal’s southern region. In 2005 there were 2 million recorded cases and at least 2,000 deaths from malaria, according to the World Health Organization. World Vision worked closely with Senegal’s national malaria control program to reduce the incidence of malaria. The result of that partnership was a 41 percent drop in confirmed malaria cases, from nearly 300,000 to 175,000, all in 2009. Malaria in children under age 5 dropped from 400,000 suspected cases in 2006 to 30,000 confirmed cases in 2009. Overall, the child mortality rate was reduced by 30 percent from 2005 to 2009. Nearly 6 million insecticide-treated mosquito nets have been distributed since 2005. And as of 2010, World Vision reported that 82 percent of households owned at least one insecticide-treated mosquito net—a 36 percent increase in less than two years. Farmer conducted a “beta test” in Open Bible Churches by asking local congregations to host a Malaria Sunday. Some participating churches displayed the mosquito bed net on stages or in foyers and educated members on the spread of malaria. Hansler launched a five-week campaign, “Death to Life,” at his church that culminated on Easter Sunday. Powell also asked for each member of his church to buy a bed net. “Our typical weekend attendance is 165,” he says. “We set a goal of 250 nets, knowing that some would give more. Powell’s church raised $2,100, covering the cost of 350 nets. Nancy Rupli, director of the Eastern Region Women’s Ministries for Open Bible Churches, is also launching a campaign at the beginning of 2012. Farmer’s beta test was successful. Now a full-scale campaign for churches to celebrate World Malaria Day on April 25 is being rolled out with World Vision partnering with PCCNA. Moreover, Christian Churches Together, a group that includes evangelical, Orthodox, Roman Catholic, Pentecostals, historic Protestant, and racial and ethnic churches invited Farmer to their annual meeting in January to address the topic of malaria. In a PCCNA statement Farmer made this declaration: “One day in the future this untitled Pentecostal/charismatic action will be as significant as the Memphis Miracle, which launched our movement and committed us all to reconciliation and justice. Malaria is a justice issue, for it perpetuates the cycle of poverty. Leilani Haywood is a Kansas City, Mo.-based award-winning writer and columnist. She has been published in the Kansas City Star, Metro Voice and other publications. When she's not updating her status on Facebook or Twitter, she's driving her four kids to school or their next rehearsal. Follow her on Twitter @leilanihaywood. 1) Pray. Too many have suffered, died or lost loved ones because of malaria, and it doesn’t have to be this way. Intercede for those suffering from the disease and the families mourning the loss of loved ones. Pray that God would stir people’s hearts to help put an end to this disease. With your help, malaria can be eradicated by 2015. Is God leading you to be a part of this war? If so, prayer is the first line of defense. 2) Give. All it takes is $6 to provide a bed net that will protect people against this deadly disease. What have you spent $6 on in the last week? A movie ticket or lunch out? What could be more important than the life of a child? Children are dying from a disease that’s 100 percent preventable, and we can’t stand by and watch. The best way to increase a child’s chances of survival is to prevent him or her from ever contracting the disease. To take action, go to worldvision.org/charismamalaria and donate. Your donation will provide insecticide-treated bed nets to children in need—and will help both them and their parents sleep peacefully, knowing they aren’t at risk of contracting this disease. 3) Get involved. Visit worldvision.org/mtmalaria to register your church for World Vision Malaria Sunday. This is your congregation’s chance to join the war on malaria. You’ll receive a free hosting kit with information about this special Sunday event, key talking points, videos and sample malaria net—all you need to rally your church to provide life-saving bed nets to people in need. If you’re not the decision-maker at your church, talk with those who are. Meet with your pastor or leadership team and tell how God has stirred your heart to do something about this issue. Our brothers and sister around the world are in need, and we have the ability to help.